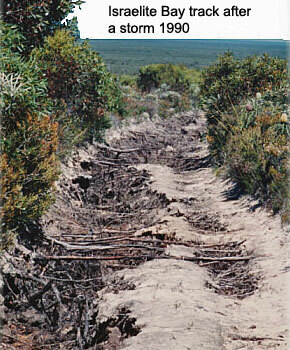 bushtrax.com contains information about the 4WD tracks in some of the different regions of Western Australia. The website was created in Febuary 2001. The information has been correlated from the beginning with the aid of a GPS, geo referencing photographs and making observations whilst travelling the tracks. A lot of the tracks are in WA National Parks, which are there for all to enjoy and use. The GPX files are available to download and use in your preferred choice of navigation software. The DPaW link above is useful to keep up to date with closures in certain areas due to the nature of the weather, especially on the south coast.